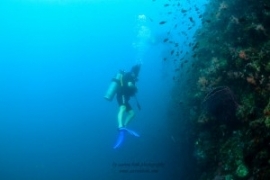 Welcome to one of the best places to start diving and explore the worlds best places to dive. Malaysia is blessed with it’s location at the Coral Triangle, which houses over 9000 species of fishes & 500 types of corals. Being one of the major low-cost flying hubs in Asia, Malaysia is the best place with the access to other countries within and near the Coral Triangle, e.g. Indonesia, Phillipines & Thailand, is all a short flight away. Let’s start with the best of what Malaysia has to offer, The sites right off Sabah, a state in East Malaysia. This is where World Famous Islands such as Sipadan, Mabul, Lankayan, Layang-Layang & Mataking is located. Getting to Sabah is just a 2.5 hour flight from Kuala Lumpur. Don’t worry about the prices of flights, if booked early or during sale, it will only cost you less than USD100 for a return ticket! In case you visit Kota Kinabalu, there few islands to explore within the Tunku Abdul Rahman Marine Park, which is just 10 – 20 minute speedboat ride from the city. They are Pulau Gaya, Pulau Sapi, Pulau Manukan, Pulau Mamutik and Pulau Sulug. They can be done via day-trips from Kota Kinabalu. 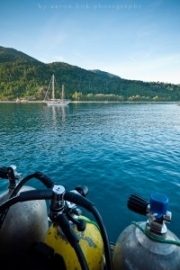 The reefs here lie in shallow waters with little currents making it an ideal for novice divers. Next are islands within the Peninsular Malaysia, which I will split into the east coast states and west coast states. The few more well-known islands in the east coast of Malaysia are Pulau Perhentian, Pulau Redang, Pulau Tioman & Pulau Tenggol. There are a few more islands but the list are the more famous ones. Pulau Perhentian, Redang & Tenggol is off Terengganu & Pulau Tioman is off Pahang. All islands are pretty similar in terms of their dive sites, with a good mix of creatures to look out for and decent healthy reefs. What can we expect to see? Turtles, all kinds of eels, tiny colorful fishes, sharks, all kinds of shrimps and crabs, etc. Rarer creatures like pipe fishes, squat lobsters, octopuses, etc, just ask your friendly divemaster for the area’s specialities. If you are very lucky, you may be able to see whale sharks, dolphins, etc etc. Most sites on these islands are quite easy with depths averaging 15-20 meters. These islands may not be Sipadan, but are still worth the trip for a short weekend break from work. To get to Pulau Tioman, you can either drive or take a bus (4.5 hours) to Mersing, and get a ferry to the island or fly directly via Berjaya Air. For Perhentian If driving to Pulau Perhentian you will head to Kuala Besut(taking up to 7-8 hours), if flying, fly to Kota Bahru then get a taxi to Kuala Besut(. For Pulau Redang, you will need to head to Merang(7-8 hours), and if you are flying, head to Kuala Terrenganu, and get a taxi to the jetty. Most resorts provide pick-up, just make a note of it before hand if it’s included in the package. Pulau Tenggol is generally agreed to have has slightly better sites compared to the other islands as there is only 2 resorts in the small island, and thus less traffic. The accommodations are also a little “tired”. The sites does available does make up for the accommodation. Some of the sites in Tenggol may require more experience due to their currents, as some dive site names clearly shows, such as the “the highway” & “fishbowl” To get to Pulau Tenggol, the best way is a easy drive to Kuala Dungun which is about 5 hours from KL, then a short boat ride to the island. Finally, we have the islands on the east coast of Malaysia, along the Straits of Malacca and the Andaman Sea. 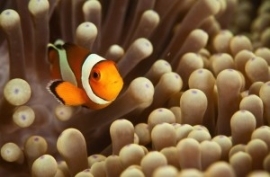 Drop me an e-mail with the links on the side to discuss on your next dive trip or join us on our facebook page! © 2019 Underwater Captures|ProPhoto Website by NetRivet, Inc.